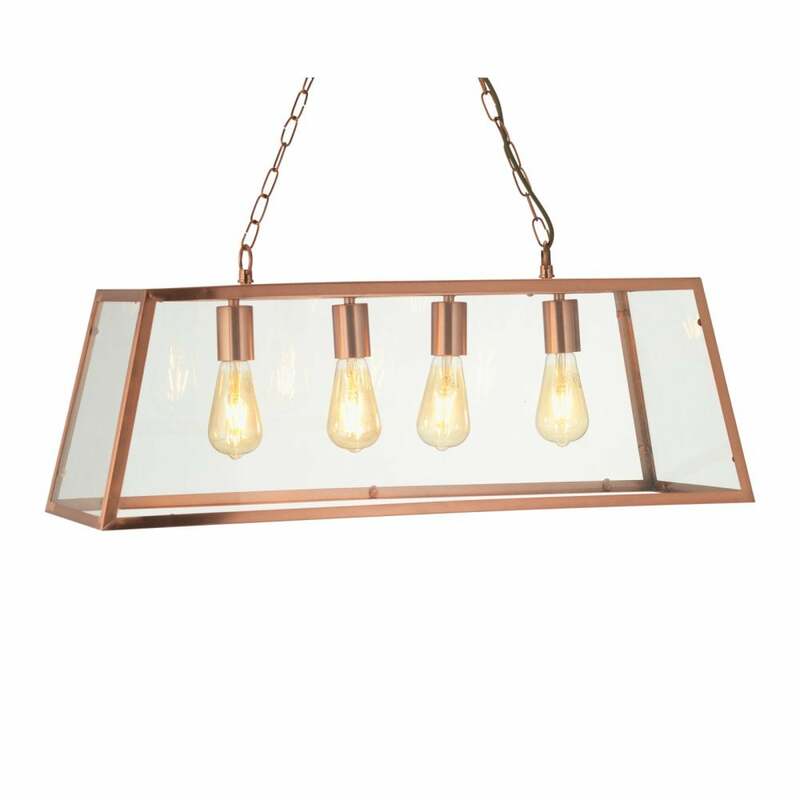 Oaks Lighting Riga 4 light ceiling fitting features a copper finish rectangular frame with clear glass panels that houses four lamps, suspended by twin decorative chains. The product code for this ceiling pendant is 1524/4 CU. Also available in antique brass finish and a single light pendant and single light wall fitting to complete the look,all can be viewed on our website.